Rock am Ring Park is one of the biggest music festivals in Germany and well-known in whole Europe. In 2019 Rock am Ring will take place for the 29th time and offers music of all kinds for everybody’s taste. The first headliner is already confirmed: Die Ärzte . 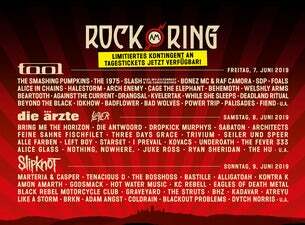 Rock am Ring and Rock im Park tickets are available at Ticketmaster.